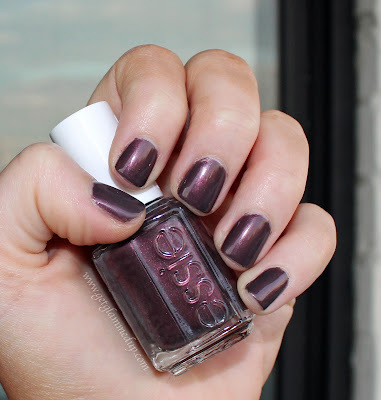 Essie's winter collections never seem to disappoint. The Shearling Darling collection Winter 2013 contains 6 unique shades. The shades Sable Collar and Shearling Darling really caught my eye since they were unlike any color I have. (Shearling Darling will be in next week's NOTW post). 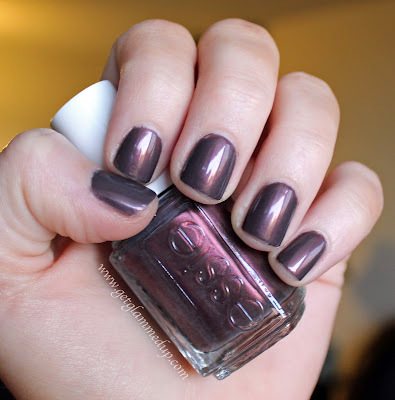 Sable Collar is a gorgeous pearlescent plum color that looks very different in different lighting. The first image is with a flash, and the second is without a flash. It's uniqueness was intriguing, and it will guarantee lots of compliments! 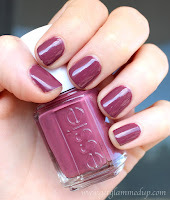 You can purchase Essie's Sable Collar here for only $4, or at drugstores for $8.